The snowball method is a method used to tackle debt by attacking your credit card with the smallest balance first. Just as a snowball is rolled and piled together to create a bigger snowball, the snowball debt method lets you start with the smallest balance to give you the confidence to attack bigger balances in the future. Paying off the smallest balance will make it easier and faster for you to pay down debt. For those who are new to saving and budgeting, starting small (read: paying the smallest balances first) will ease you into the habit of paying debt. If you start big and pay off the biggest balance with the highest interest rate first, this can shock you and make you feel like you’re not making any progress and you might fall back into the trap of accumulating more debt. “Out of sight, out of mind” right? If you set up your account, so that your credit card dues will be automatically debited from your bank account, you’ll treat the money as if you never had it at all. If you choose to pay your credit card balance manually, you may be tempted to pay the minimum balance only to give way to other expenses you prioritize. By automating your credit card payments, you’ll feel like you didn’t even have the money in the first place. Even better is that you’re paying the full balance each month, which avoids extra fees. Multiple banks, such as BDO, BPI and HSBC, offer this auto-payment service. Just log on to your online account to apply. A lot of people get into credit card debt because they treat it as free money. It’s easy to hand that plastic to the register, swipe it, then sign. Until the billing statement comes. Then, you find yourself searching every corner of your home for spare change to pay your balance. By tracking your expenses (pro tip: have a separate category for credit card expenses), you’ll see where your money is going, and you’ll realize just how much you’ve racked up in purchases using your credit card. Tracking your expenses avoids adding to the debt you already have. Multiple phone applications, such as Expense Manager, Mint and You Need a Budget, allow you to track your expenses in a comprehensive manner (e.g. by timeline, by category, current balance, etc.). 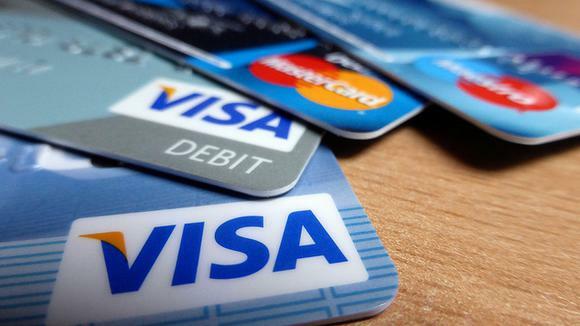 Multiple banks provide this service of transferring and consolidating all your credit card debt into one bank. To get the most out of balance transfers, transfer all your balances to the bank that offers the lowest interest. This way you’ll be paying less in interest, which can save you a lot. Late fees for credit card dues start at around 3 percent a MONTH, so it’s best to avoid sky-high interest rates as much as possible. By transferring your balance from one account with a high-interest rate to the one with the lowest, just imagine how much you can save. It’s best to remember that there’s no such thing as free money and the interest rates on credit cards will make you wish you never had a credit card in the first place. Have an emergency fund, it’s one of the basics of personal finance. This e-fund must be used ONLY for emergencies, nothing less; however some rules can be broken. If your e-fund is well-padded, if you have a continuous flow of income, if you have a partner that has his or her own income and emergency fund, if you have investments, THEN you can use a portion of your emergency fund to make a lump sum payment. Remember that in a savings account, you only earn 0.25 percent in interest a year, humiliatingly less than the 3 percent a month you pay in credit card interest. Consider using a portion of your savings to pay your debt down faster and avoid incurring the 3-percent interest a month. It’s a different feeling when you don’t have to worry about debt. You don’t feel like you have a rope tied around your neck. You feel like you’re able to save and invest earlier and faster. Having zero debt maximizes your opportunity to live a life free of worries. That portion of your income you used to pay down debt? Use that money to go on a much-needed vacation that is not funded by debt. Even better, use the money to start investing, saving for a house down payment, or whatever financial goals you may have. The bottom-line is once you pay down all your credit card debt, you’re on the fast track to reach a life free of money worries. One thing that my mom told me about credit cards are, “If your salary cannot pay for your credit card, then you don’t have the right to have one.” And that really struck me. This is why I promise myself that I’ll never apply for one if I know that my current salary cannot pay for it. Nonetheless, your article has really pointed out the essential things regarding this topic. Thank you for sharing!